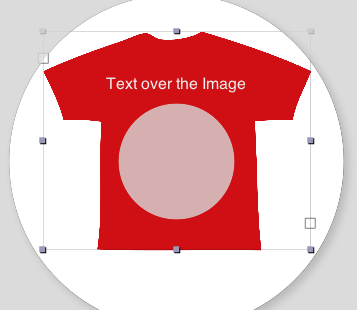 You are able add images to rectangular oval, and bezier path objects objects, or add them as your label backgound images. To add an image from your disc use the Import Image menu option from the file menu. 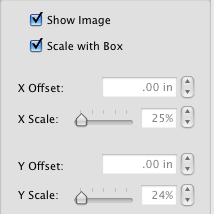 Use Show Image check box from the Object Panel to control the image visibility in the object. To move the imported image within the box, use the X Offset and Y Offset boxes from the same panel, or press the Shift key and drag the mouse button. 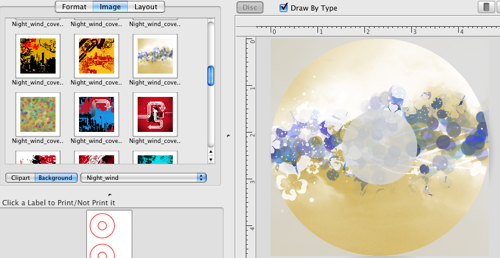 To add a background image to your disc label, switch to the Backgrounds in the Image area, select the category, and click on the desired background. 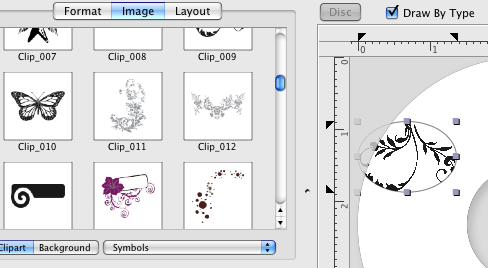 select the object with background if it it already present on your label, then use File>Import Clipart menu option to add your image to the label. More image effects can be added using the Image Effects Panel.